Air Canada Vacations has dropped the price of their March & April flights from Toronto to Costa Rica (LIR) down to $382 roundtrip including taxes. 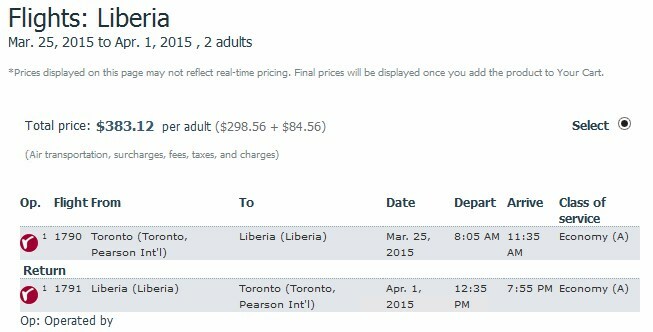 This is about 40% cheaper than the typical bottom price for a non-stop (direct) flight from Toronto to Costa Rica. 2. Click on 'Flights' before searching (important!). Liberia airport is on the West side of Costa Rica. This is not to be confused with the Republic of Liberia, the country in Africa (seriously, people do). 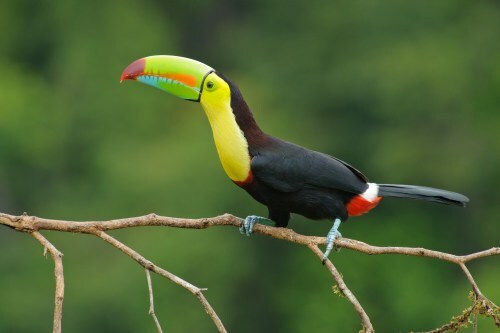 Yes, March and April are peak months for visiting Costa Rica. It's still cold in Canada, and dry season in Costa Rica. It's rare to see an amazing deal during dry season. From the comments section below, Heidi says: "Bookit.com has several All inclusive from $75 a night for these time periods!" And of course, AirBNB is always worth checking. For live discussion of this deal, or to get some amazing travel advice from over 21,400 real travelers in Toronto, join the YYZ Deals Facebook Group. Special thanks to Rishi (a prominent member of the Facebook group above) for spotting and sharing this deal with the group. toronto, yyz, flight deals, liberia, costa rica, lir, central america, air canada vacations and air canada rouge. 13 Responses to "Toronto to Costa Rica | $383 roundtrip including taxes | March and April 2015"
We got this exact same deal last June 1. Wonderful trip! Rented a car from the airport and drove 5 hours south to Dominical. Rented a villa with a pool and ocean view. One tip: don't buy food at the Liberia airport, it is outrageously expensive. Bookit.com has several All inclusive from $75 a night for these time periods! i cannot find any $75 all inclusive hotels in Bookit.com. Not Apr. Got this deal from yyzdeals.com years ago when it was 110$. This deal is an absolute steal!! Going down for a week of surfing!! Staying at Breezes in Tamarando - fantastic boutique hotel!! $444 RT for week of March 16, non-direct. A last-minute deal over March break for sure. now i need hotel deals and activities suggestions. pls, anyone? I can't seem to find this deal anymore. If anyone knows how please let me know. Thanks! I can't seem to find this deal either. Guess I'm late. I can't find this deal either. I guess it is too late? Please let me know if it is still possible. You may want to sign up for alerts at the top of the website, which will let you know as soon as the next great deal is found.